Kristin Gore's Sammy's House is the sequel to Sammy's Hill , a story about Sammy Joyce and her experience working for the government. In Sammy's House , Sammy now works for the White House, and her duty is to protect the president's reputation as he gets caught up in scandal. Kristin Gore has a hilarious sense of humor, and readers won't need to be interested in politics to enjoy this book. Sammy's character is so witty and smart that we can't help but love her. Sammy's House is incredibly fast-paced until we get to the midway point when the plot begins to slow down just a little. 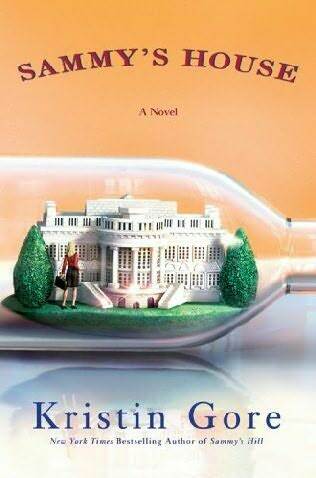 Regardless, I am such a huge fan of Kristin Gore after reading Sammy's Hill that it was no problem sticking it out with this one and reading about Sammy's successful conclusion to the White House scandal. Readers should DEFINITELY start out with reading Sammy's Hill by Kristin Gore.